Google has been known to use its terms of service to make its competitors lives harder. But in this case, Google appeared to have had a legitimate gripe about the way the Echo Show displayed YouTube. In November, Amazon introduced a redesigned interface for the video streaming service, and Google said everything was A-OK. YouTube was restored, and users breathed a sigh of relief. We’ve reached out to Amazon for comment on this story and will update when we receive a reply. Engadget reports that the heart of the dispute is over Amazon’s insistence on running a “hacked” version of YouTube, instead of Google’s own app. This could potentially affect Google’s ad-revenue and limit the company’s control over how people watch YouTube on the device. Google and Amazon’s issues go beyond this controversy. Amazon hasn’t enabled Google Cast support for its Prime Video service, giving it a unique selling point for its Fire TV stick. And now, the Fire TV stick will lose YouTube support on January 1st, according to Engadget. In terms of business strategies, this back and forth between the companies makes a certain amount of sense. Both of them have fought hard to gain an advantage in video and voice assistants. As of May, Amazon controlled 70 percent of the voice-enabled speaker device market, according to research from Emarketer. And as of 2016, YouTube controlled about 79 percent of the online video streaming market, according to Statista. But as Google ramps up its voice assistant game and Amazon pushes ahead with Prime video, these two are just hurting their customers’ experiences. YouTube support was once a big selling point for Amazon’s Echo Show, and now the people who bought the gadget earlier this year are getting screwed (though Amazon hasn’t said how many did buy an Echo Show). And likewise, it would be nice to be able to Cast Amazon Prime to a Chromecast-connected TV. So, which company should you blame for all this crap? Both of them. The internet and tech work better when everybody works together. Knock it off, assholes. Update: An Amazon spokesperson sent us the following statement: “Echo Show and Fire TV now display a standard web view of YouTube.com and point customers directly to YouTube’s existing website. Google is setting a disappointing precedent by selectively blocking customer access to an open website. 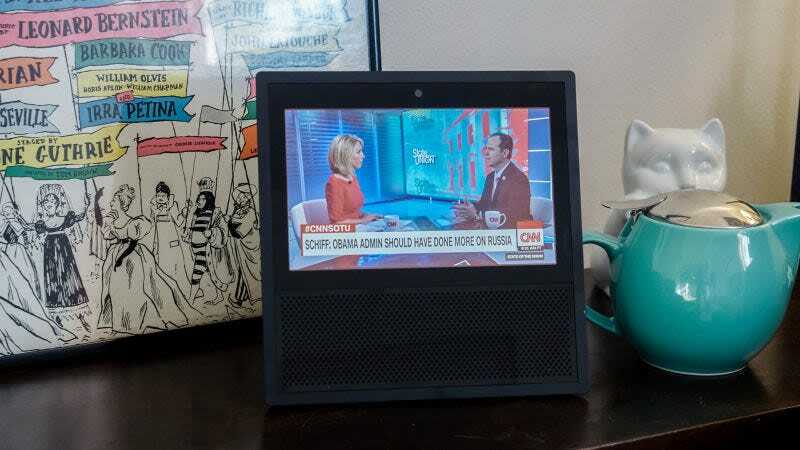 We hope to resolve this with Google as soon as possible.” To be clear, Amazon is saying that after Google started blocking YouTube on the Echo Show, it has simply reverted to displaying the standard browser view.